In last week’s site performance webinar we learned that almost half of visitors will abandon a site if they perceive a page or feature takes longer than 2 seconds to load. 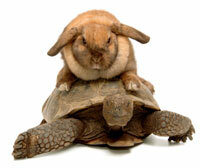 The key is “perceived” page load. Is there a way to entertain customers while a page or object loads? How about give them something to read? 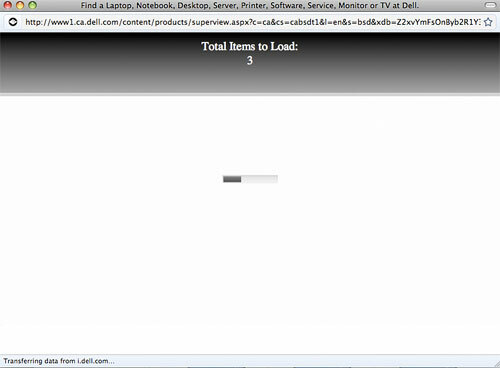 Diapers.com tells customers an interactive display is loading. “Interactive display” sounds intriguing…perhaps intriguing enough to motivate some to be a bit more patient. Similarly, Anthropologie explains it’s loading a global checkout. While one might wonder why that should take longer than 2 seconds, at least there’s a promise of something happening rather than a blank page. Only the geeky will understand what objects are, but Dell.ca satisfies the “are we there yet?” question as it counts down the objects, 3-2-1. 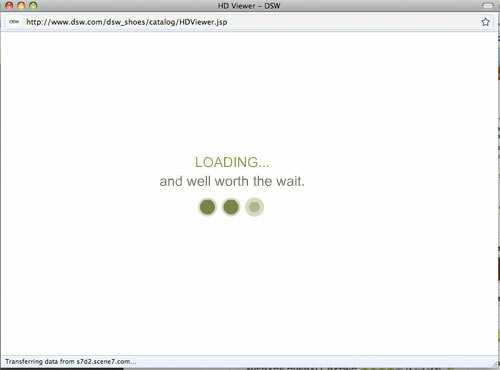 “Nothing’s worse than waiting for a page to load. Except getting cheated on, of course” says Moosejaw Mountaineering. 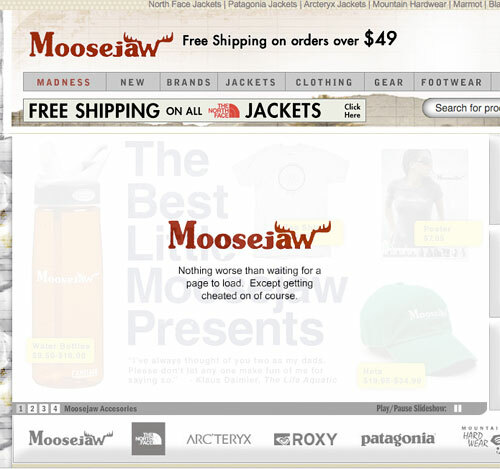 With the exception of DSW and Moosejaw, I don’t think the above retailers’ intentions were to entertain, persuade, inform or simply distract visitors while the page loads. But there is opportunity to use value propositions, pieces of “free knowledge” or humorous content in your loading pages/features to reduce the “perceived” page load time. This idea can be explored with user testing.